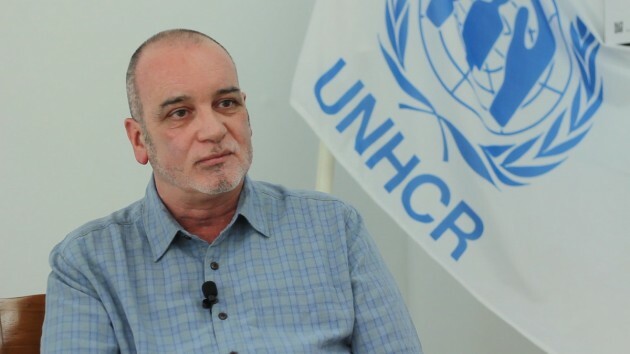 Mr. Iain Hall, the senior field coordinator for the United Nations High Commissioner for Refugees based in the Thai border town of Mae Sot gave an exclusive interview to Karen News. In the exclusive interview, Mr Hall covers a wide range of issues affecting refugees including repatriation, international humanitarian guidelines, the Burmese government’s responsibilities to protect its citizens and the UHNGR’s working relation with the Thai government on refugees issues. What does voluntary repatriation mean? “The word ‘voluntary’ is in the title meaning that return must be of a voluntary nature of the refugees themselves, as an individual decision. So voluntary repatriation is the voluntary return home to their place of origin inside Myanmar or, as Myanmar citizen, the place of their choice. Voluntary is the most important principle on the concept. Providing information to refugees will help them in making a well-informed decision, and this is crucial. Because there are always pressures in life, it is important that refugee make well-informed decisions based on accurate information, not inaccurate propaganda, then we feel that refugees are able to make their voluntary decision themselves – and not having others making decisions for them. “Voluntary repatriation is what we call a durable solution, while there may be other solutions that a refugee may find in the future. Another would be a local integration in the country of asylum on a legal basis; or another solution may be resettlement to a third country. In Thailand there has been a very large resettlement of the Myanmar refugees to date, more than 90,000 since 2006. Need various players to take their responsibilities seriously? “Yes, yes. Well of course the Myanmar Government (the country of origin in any conflict situation where we have a refugee out flux). The country of origin, in this case Myanmar, has the primary, responsibility of the protection of its citizens and indeed all civilians on its territory. Just as I and you enjoy the protection of the Royal Thai Government for our safety and security. They [Myanmar Government] hold a responsibility … the primary responsibility. So ensuring the conditions for sustainable return will be the Myanmar Government. But of course they may need support. Situation in Thailand right now – it has stressed it will follow international guidelines. There is nothing untoward with Thailand’s position? Do conditions exist now for a return? There is talk of secret deals, of collusion. UNHCR primary concern is the welfare of refugees?